Compared to the long-term average May is considered significantly colder as to the temperature and markedly above the average as to the precipitation. Rainfalls in Saaz area in May represent more than 25 % of the whole year amount already. The rainy weather started on May 25th and till the end of months the precipitation reached 57,2 mm. Due to lower temperature the hop growth was retarded. The first hop training in all localities was finished till the end of May; the hilling was done in most of the hop gardens. The average height of the hop plants reached approx. 150 cm at the end of month i.e. by 50 - 100 cm less than usual. Rainy weather complicated the hop protection especially against Peronospora. However the health state of hop plants is still good. 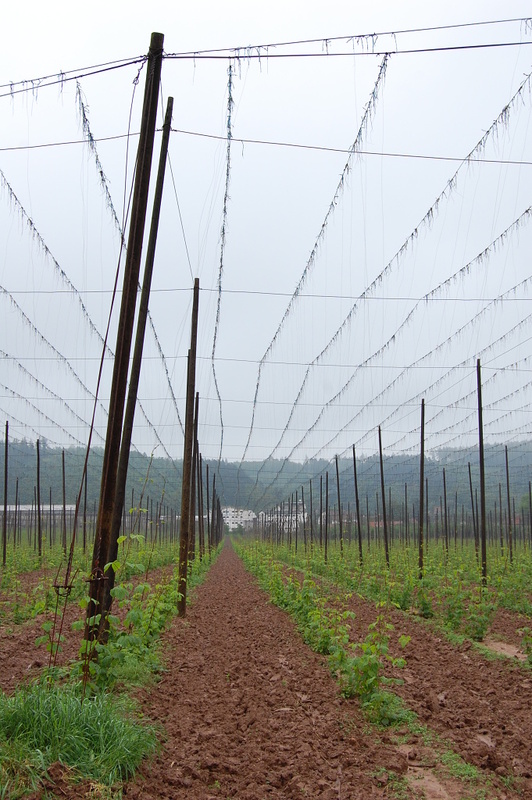 All hop gardens are heavily waterlogged due to long-continuing rainfalls. At the Top Hop farms arround 3 hectares of hop gardens are flooded. No other damages were monitored until now. Attached photo from 31st shows the actual typical stand of hop gardens.